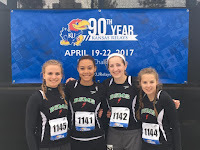 Once again several BSMS athletes made the annual trek to Lawrence Kansas, this time for the 90th running of the Kansas Relays. The weather didn't cooperate as temperatures hovered near 50 degrees with a wind from the north and scattered rain late in the afternoon. Six girls qualified for one of the nation's premier high school track and field invitationals. This year numerous athletes from 12 states competed on the Jayhawk's home facility. Leading the way for the second straight year was Junior Emma Lawrence who placed 8th out of the field of 45 runners. Her time of 47.21 is her seasonal best and leading Wisconsin's Div. 3. Also competing were; Senior Katie Pingel who jumped 32' 5” to claim 26th place out of a field of 30 jumpers, Junior Brianna Leahy tossed the discus 116' 5” to take home 15th place out of thirty throwers, and the 4x100 relay (Paige Murphy, Trinity Law, Chloe Matthews, Emma Lawrence) ran a Division 3 leading 52.18 to grab 23rd place in the field of 49 squads. Last year the 4x100 relay came in 28th place. Emma Lawrence also ran the 100 hurdles (and ran a personal best), but was disqualified for a trail leg infraction (we suspect that was what is was, as we were never notified). 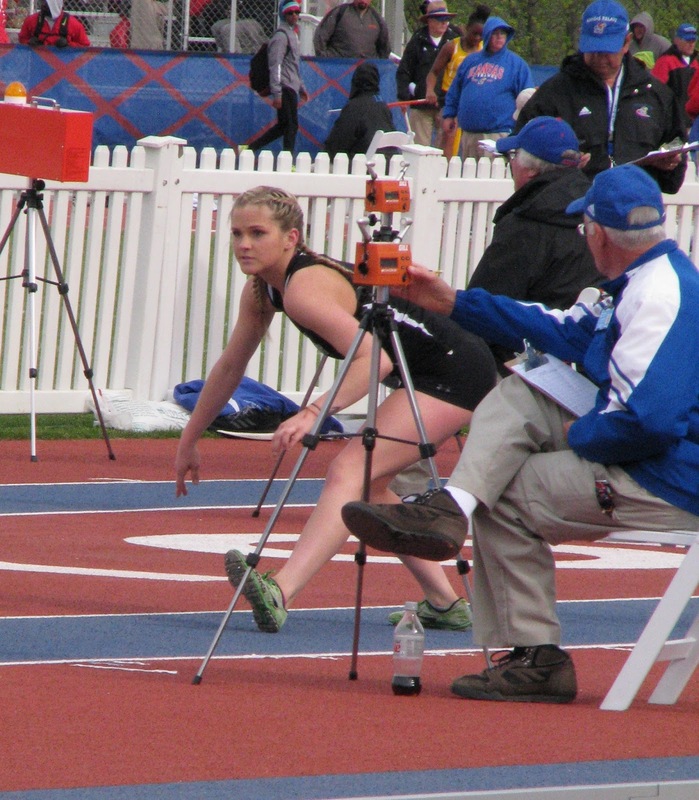 Pictured are: Katie Pingel as she prepares to sprint down the runway on her first attempt in the triple jump. 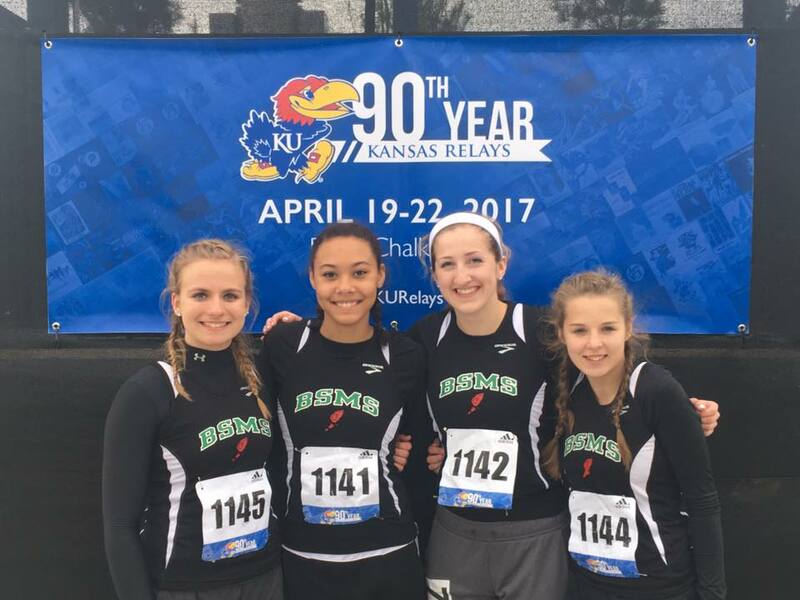 The members of the 4x100 relay (Paige Murphy, Trinity Law, Emma Lawrence, Chloe Matthews) who ran 52.18. 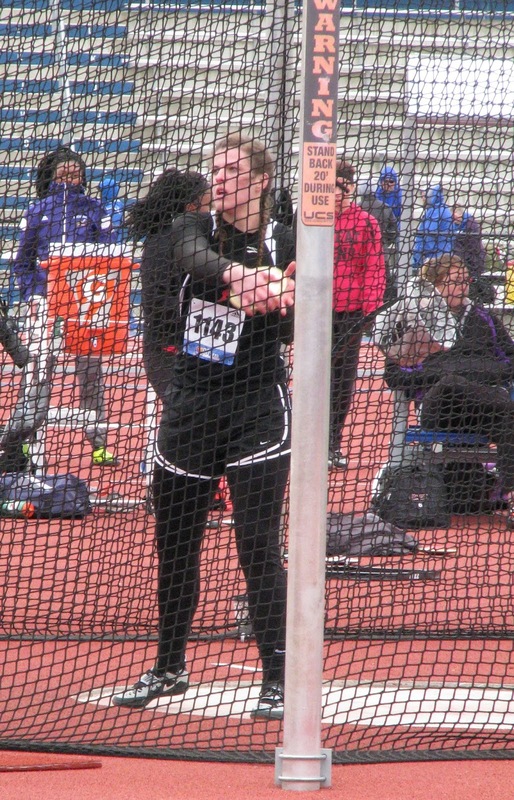 Junior Brianna Leahy prepares to make her final throw in the discus.